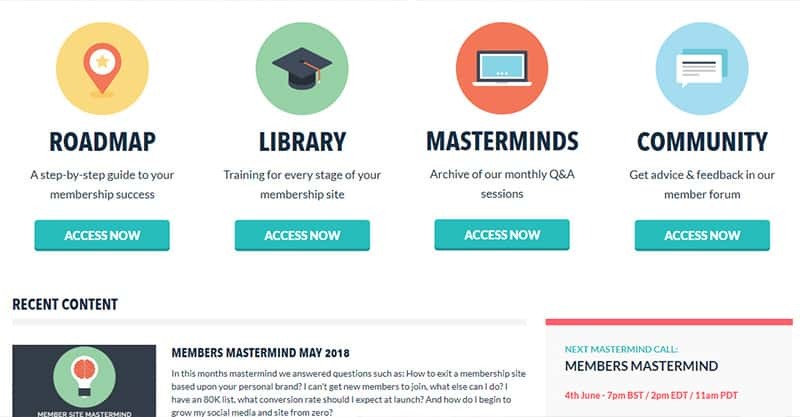 What Is The Member Site Academy? 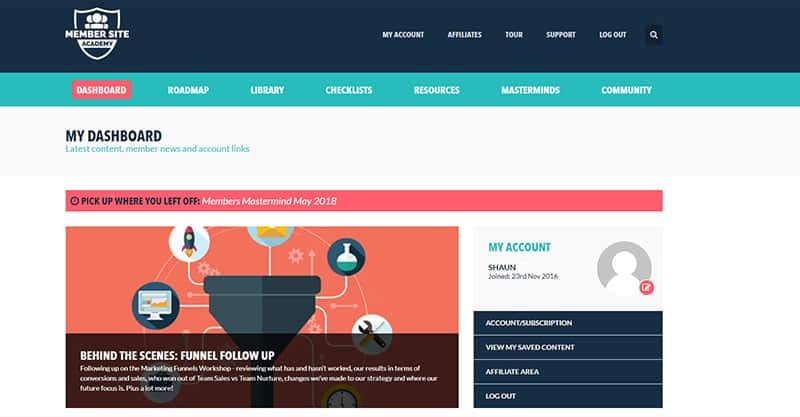 The Member Site Academy is a membership website with the aim of helping you build your own profitable membership website and getting new members. 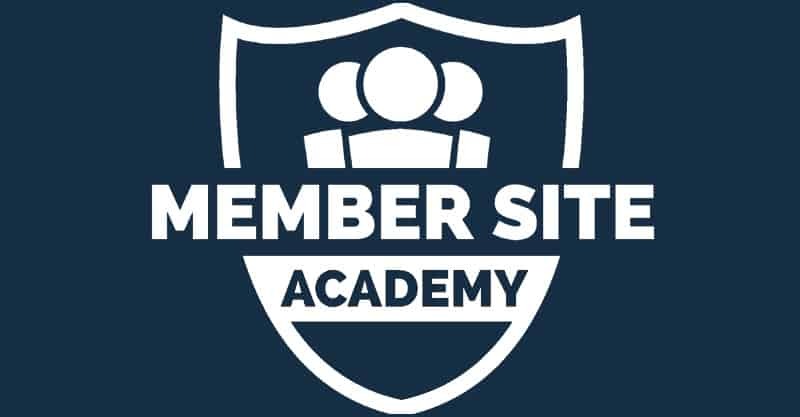 The Member Site Academy was built and is owned by The Membership Guys, a.k.a. Callie Willows and Mike Morrison. 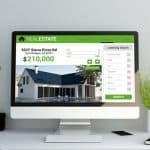 They have plenty of experience as they initially started out consulting other membership website owners, many of their clients turning their projects into six and seven figure businesses. You can see some of these success stories on the Member Site Academy homepage. If you know anything about this website, you will know that I only review memberships and products that I have personally used. Well this review is no exception! According to my account I first signed up for the Member Site Academy on 23 November 2016. Since then my knowledge of membership website strategies has grown tenfold. This training has directly been responsible for a lot of additional revenue that I wouldn’t have otherwise seen. 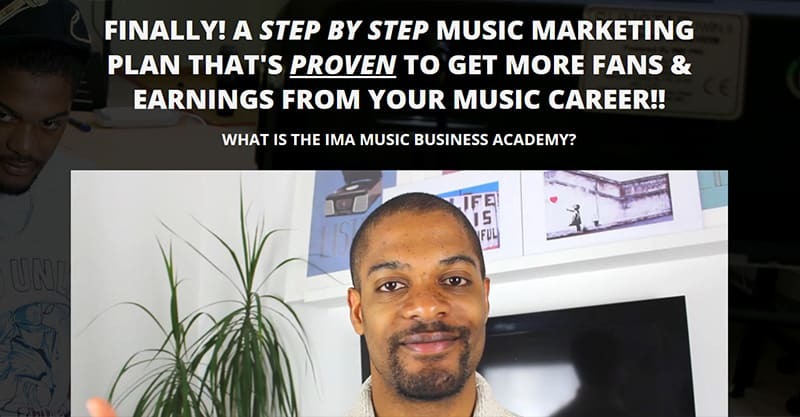 The IMA Music Business Academy. Music Industry How To Full Access. Update: the second of these projects has recently been closed due to me currently creating an updated membership which will be launched soon: the Pro Musician Academy. Through this membership I will be implementing a lot of the things I have learnt as well. 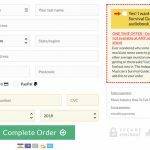 So let’s look at some real tangible ways the Member Site Academy has added additional dollars to my business. Within my first month of MSA membership I was actually considering closing down the IMA Music Business Academy to new members while I updated the content. But after browsing the MSA forums I saw Mike suggesting doing a closing down sale. So instead of just closing the doors while I updated the course without letting my subscribers know, instead I sent them an email and told them it will be unavailable for a few months while I update. And if they want access they need to sign up now. The result? In that week I made more sales than I do of the course in around six months. And to think I was just going to close the doors and not get any new sales for the next few months. 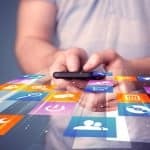 Sounds simple when I look back, but if you don’t know about these strategies, you simply don’t know! Another thing the Member Site Academy turned me onto is dunning. This is a way of getting your members failed payments back on track, and instead of their monthly payments failing allowing them to add their contact details and continue to pay you. This has also recovered me a lot of revenue I would have lost, and something I wouldn’t have known about if it wasn’t for The Membership Guys. 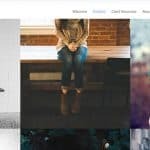 I’ve actually got a lot of examples of things I’ve learnt and how they directly increase the revenue my business, but I won’t list them all here as the list is quite long. Just know that the money I spend on my monthly membership has paid for itself many times over in my business, and will continue to do so in future. This for me is the key aspects of this membership. To talk to other people who were doing what you’re doing, but not only that, seeing their websites as well. 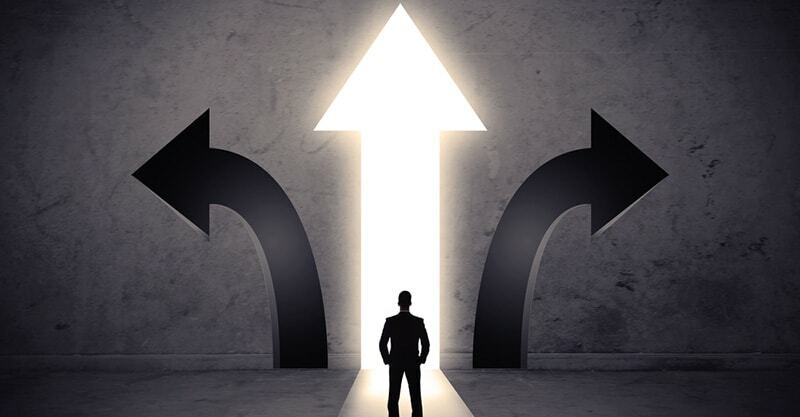 It’s one thing having experts showing you how to do something, but something else entirely seeing what your peers are doing and witnessing their success first-hand. Many of the members are very open, sharing their wins, hard times, and supporting each other. Through this community I have seen membership websites in all different niche is. I have seen ones aimed at various types of musicians, business people, Christian groups, ski instructors, cake decorators, woodworkers, arts and crafts enthusiast, and many more. Not only that, but I’ve also seen other people launch their membership websites and give honest results on how they did. Whether on launch they got their first 20 members, or they got on board over 500 new members. This is very inspirational, and makes you want to succeed even more. On top of this you also get personal access to Mike and Callie in the forum. Every time I have personally asked one of them something they have always got back to me well within 24 hours. Another key feature is their roadmap. Apparently at launch the Member Site Academy had a bunch of lessons in their. That said it wasn’t as structured as it now is. Now, there’s the membership roadmap. 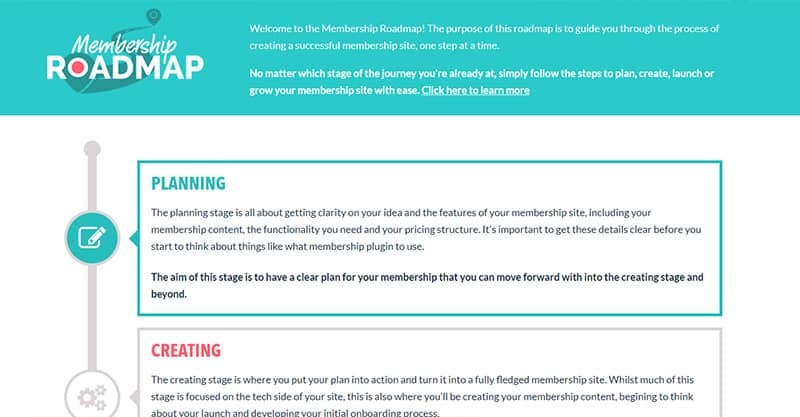 The roadmap is a step-by-step listing of all the lessons you need to ‘build, grow and scale your membership website (in Mike and Callie’s words). 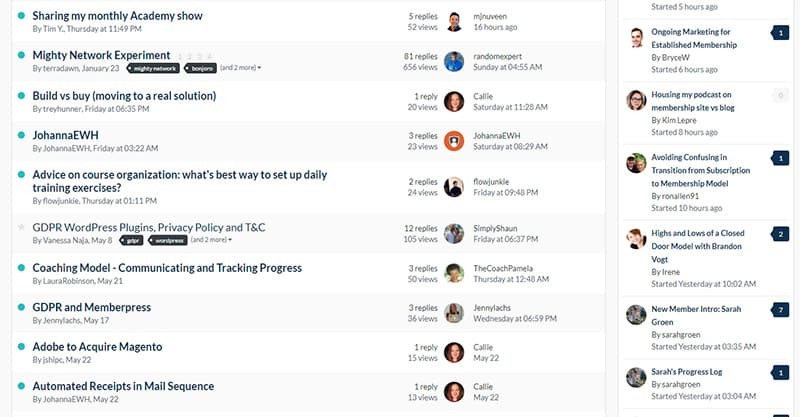 No matter where you are in your membership journey, simply go on to the roadmap and see the next steps for you. This content is composed of videos, text lessons and podcasts. The variety here keeps it interesting and non-monotonous. You also get live question-and-answer sessions, as well as The Membership Guys to look over your website specifically. This is something they no longer do outside of this membership, despite previously charging a very high amount for their consulting. I haven’t used this side of things as much personally as I mainly in it for the community and their online training when I need to learn something new. That said I see lots of people interacting with this side of things, so I know it’s very helpful for many. 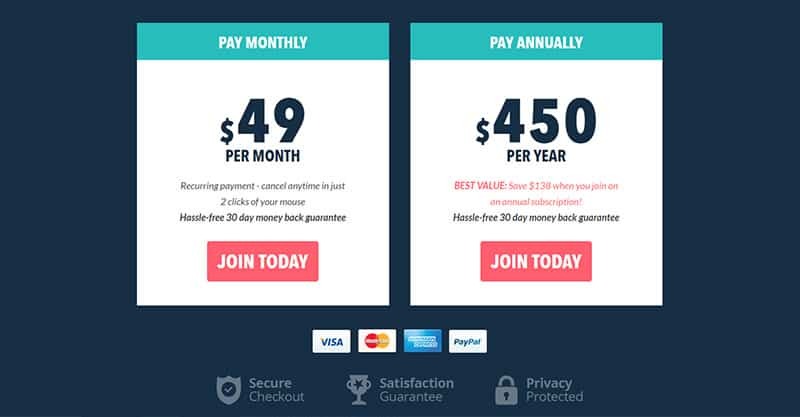 What Is The Cost Of The Membership Site Academy? At the time of writing this, you can join the Member Site Academy for $49 a month or a discounted $450 per year. Don’t I Get Enough Help In The Membership Guys Podcast, Do I Really Need This Course? If your membership website isn’t where you currently want it to be, 100% yes. This could be because you want to actually build it out, or you have a growing membership website but you want to grow it even faster. If you sign up to this membership and don’t find something that will help grow your business within the first 30 days, I would be very surprised. 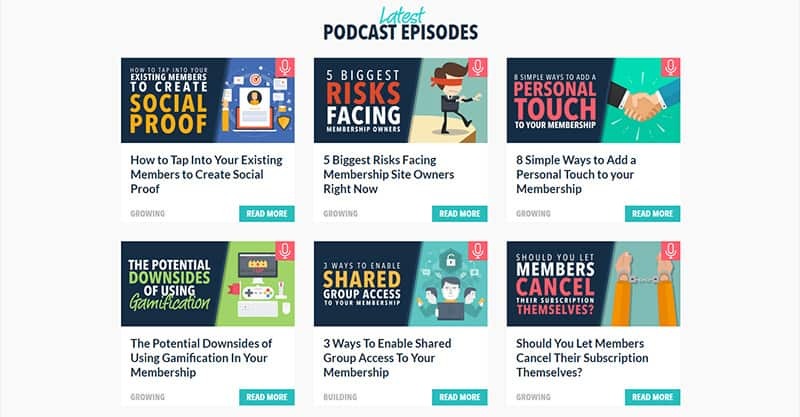 While the podcasts and other free content The Membership Guys put out are really useful, they only really scratch the surface in terms of what you can learn regarding membership websites. Think of it like this: you have a grape. Yes that grape is delicious and you can get a lot of enjoyment from it. But if you had 10 grapes wouldn’t you enjoy them a lot more? Exactly, and this is exactly what comparing their free podcast to their paid membership course is like. No. Simple answer lol. 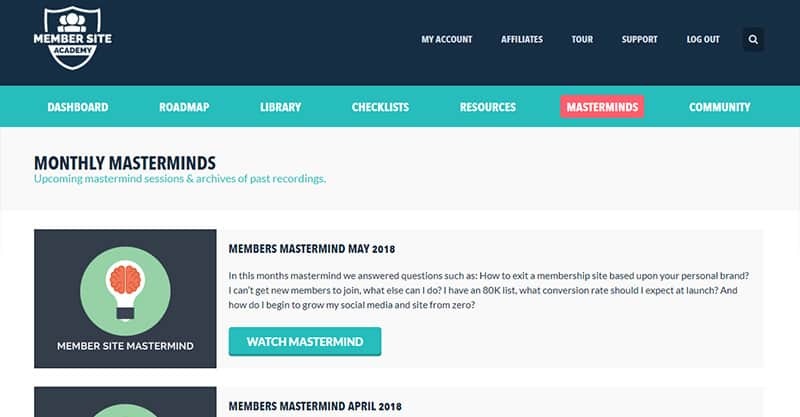 I’ve been a fan of membership websites for years before I discovered the Member Site Academy. The most I could ever find on them was a random article or a dodgy looking website which looks like it was built in 1998. The Academy was the first resource I came across which offers complete and valuable training on the subject. And since then there has been no real competitors to change this. You can look around all you like but you simply won’t find a good alternative. So that’s my first-hand review on the Member Site Academy. If you have any questions feel free to leave a comment below. Otherwise, I’ll see you inside the Member Site Academy forum.